Tonight on TV: A "Great" Treat ! See it Tonight on ABC at 8 PM (est)! This is an ARCHIVE of the CHRISTMAS TV SCHEDULE 2013 from September and October. Please Click Here for the Updated Schedule for November and December! 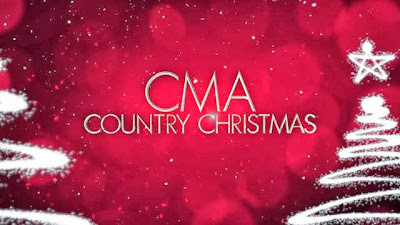 CMA Country Christmas... with a star from Duck Dynasty, too! and Features a Performance by "Duck Dynasty's" Willie Robertson! 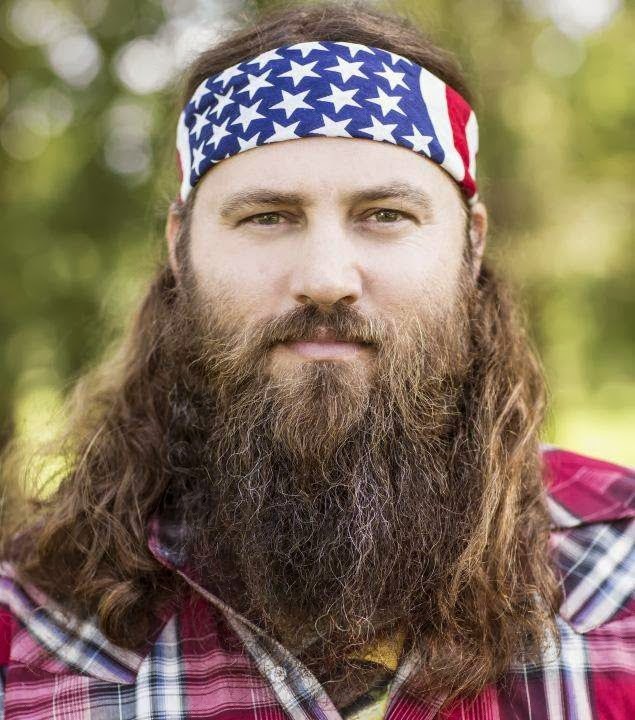 Willie will also be singing on the family's new Christmas CD. You can get Duck the Halls: a Robertson Family Christmas on CD today! Hallmark Channel on Christmas Day + December "Christmas Movie" Schedule! As a special Christmas Day gift, Hallmark Channel presents “The Twelve Gifts of Christmas,” this seasons 12 Original Holiday Movies, in a 24-hour marathon, presented with limited commercial interruption all running back-to-back on Wednesday, December 25th beginning at 6 a.m. and running until 6 a.m. the following morning, Thursday, December 26th. It’s just another reason why, when it comes to the “Heart of Christmas,” Hallmark Channel is the place to be! 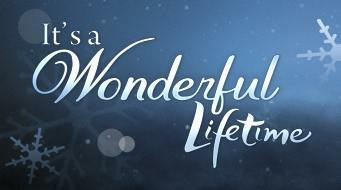 Lifetime's New 2013 Christmas Movies! Good tidings we bring, to you and your TV, with the return of the holiday programming slate, It's a Wonderful Lifetime... Beginning on Saturday, November 9th! Each Saturday night, the holiday festivities will continue, with the world premieres of new Christmas Movies featuring Grammy Award nominees Jordin Sparks (Sparkle, American Idol) and Christina Milian (The Voice), musical icon and multiple Grammy(R) Award winner Dolly Parton (Nine to Five), Grammy Award nominated R&B singer and producer Brian McKnight (American Dreams), Grammy Award winners Ashanti (Army Wives) and Randy Travis, Emmy(R) Award winner Ed Asner (Up, Roots), Golden Globe(R) and Emmy nominee Della Reese (Touched by an Angel), Mel B (America's Got Talent), Tatyana Ali (Fresh Prince of Bel Air), Debby Ryan (Jessie) and many others. The film follows a young Appalachian mountain girl (newcomer Desiree Ross, Park Bench) as she pursues her dream of becoming a country star against the wishes of her mother (Megyn Price, Rules of Engagement). Her journey to the stage at Dollywood with a singing competition hosted by Dolly Parton reunites her with her musician father (Brian McKnight) and uncovers the musical legacy of African Americans in the world of country music. Mary Kay Place (Big Love) stars as her grandmother. Local librarian Cherie (LINDY BOOTH) is ecstatic to celebrate the holiday season until she learns that a real estate developer, Tony (ROBBIN DUNN), has plans to demolish her library. Cherie rallies her neighbors to help save the library with a Christmas tree decorating contest. Not to be deterred, Tony joins the competition and recruits professional interior designer, Cordelia (MEL B), to help him beat Cherie. Will Cherie's devotion be enough to save her beloved library? Estranged from her family, Kristin (SHIRI APPLEBY) falls asleep alone on Christmas Eve only to wake up and discover it's Christmas morning 1996 and she has to relive the worst Christmas of her life! But this time, Kristin decides to do things differently to change not only her imperfect past, but also her less- than-perfect future. '80s icon and Golden Globe nominee JUDD NELSON returns to the screen alongside Disney starlet DEBBY RYAN and Revolution's ELIZABETH MITCHELL. 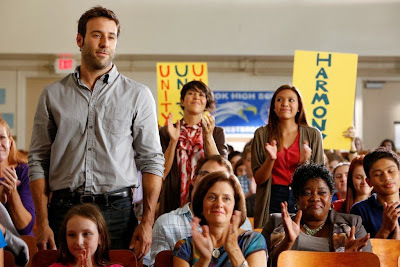 After breaking up with her boyfriend, Jennifer (TATYANA ALI) moves back to the house she grew up in, bringing back memories of her recently deceased friend Jack (LAMORNE MORRIS). But after receiving a Christmas card from a secret admirer, she is stunned when she discovers the truth. JORDIN SPARKS, BILL COBBS, DELLA REESE and ERNIE HUDSON headline the star-studded cast. After closing down her small-town family business, Wendy (ASHLEY WILLIAMS) and her six-year-old daughter Grace move to the big city where an old friend offers her a job in the toy department of Wolmans. But her excitement is short lived when the store's new consultant, Teanna (ASHANTI), ruins the holiday spirit throughout the store by replacing Santa with a hunky male underwear model. It's only when Grace begins to lose faith in the holiday that Wendy realizes she must bring the true meaning of Christmas back to Wolmans before it is too late. One Tree Hill alums HILARIE BURTON and TYLER HILTON reunite in this charming love story. When successful New York marketing executive Katherine (BURTON) discovers her workaholic ways are taking a toll on her eight-year-old son, Zac, she decides to spend Christmas with him and her mother, Lilly (MARKIE POST) in her home town on the bayou. When Caleb (HILTON) tries to rekindle a childhood romance and convince her to move back home, Katherine is torn between the bright lights of the big city and the quiet, gentler rhythms of her Southern roots. 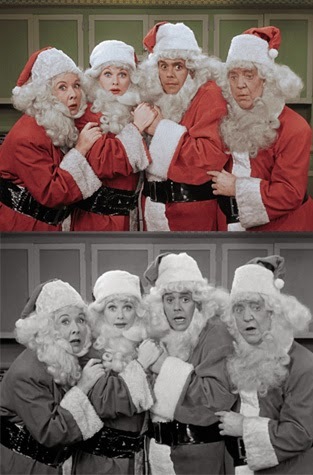 Only a Christmas miracle orchestrated by Papa Noel (ED ASNER) can steer her heart to her true home. Also stars RANDY TRAVIS. A cynical television executive (ALICIA WITT) looks at the perfect world inside a snow globe and rants about how the Christmas movies she produces fall short of real life. Upset, she tries to smash the globe in to pieces, but instead, ends up knocking herself in the head. She wakes up in a perfect snow-covered town, married to her ex, Ted (DONALD FAISON), with two kids. Trying desperately to return to her old life, she slowly realizes the importance of family and begins to find happiness. Also stars CHRISTINA MILIAN and TREVOR DONOVAN. Hope you enjoy these 7 new movies from Lifetime, too! Walden Media Presents "The Hunters"
Martin Taylor has totally lost touch with his family. He has no clue who his teenage daughter's friends are, why his son only communicates with an electronic sign outside his bedroom door, or why his youngest child watches so much TV. Convinced the family needs to reconnect, Martin surprises the wife and kids with a little experiment – he locks them in their own home with no power, no heat, no running water, and absolutely no contact with the world outside! The sudden holiday "stay-cation" isn't what the Taylors had in mind for Christmas, but they'll have to team up to prove they can survive Dad's wacky mission and their wackier relatives. But with a little planning and a whole lot of love, this just might turn into the best Taylor family Christmas yet! Have you been looking for the "Great Pumpkin"? Well, you mustn't look any farther... Because the "Great Pumpkin" is coming! The annual cartoon special "It's the Great Pumpkin, Charlie Brown" will air on TV, October 31st, 2013 from 8 PM - 9 PM est on ABC. 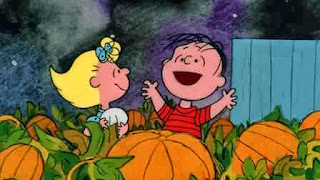 After the Halloween Special, they will air a bonus PEANUTS cartoon, "You’re Not Elected, Charlie Brown". Poor Charlie Brown... he won't find redemption until the Christmas Special. Thank you to everyone who has written to ask about this cartoon. It is a very special one and I am so glad ABC is bringing it to us again this year. 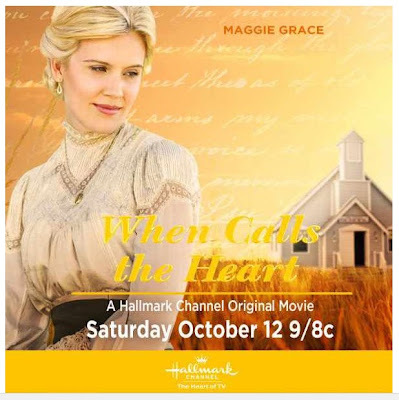 This Weekend: See the Premiere of the Hallmark Channel Series, When Calls the Heart, and More! 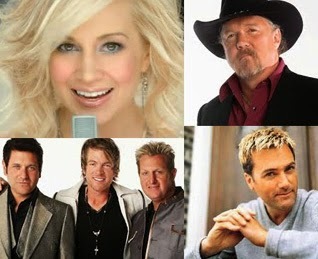 Encore airings on Sunday at 1 PM & 9 PM! 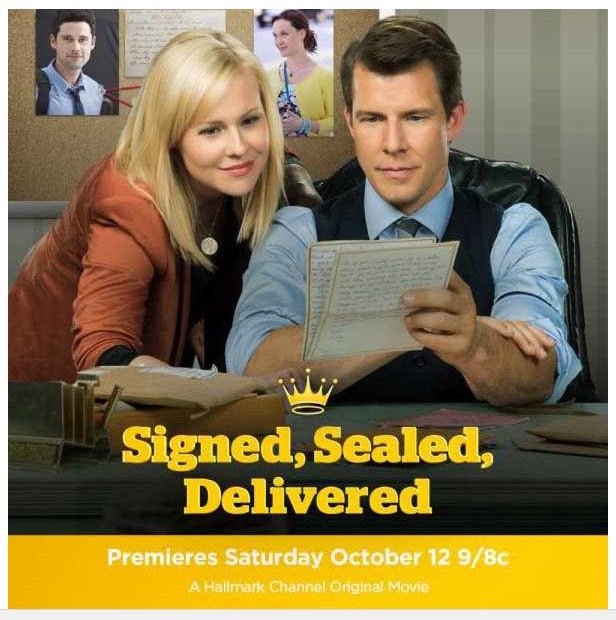 The Premiere date is October 19th! also the creator of the "Love Comes Softly" series! Visit the "When Calls the Heart" page for more details! 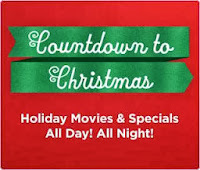 the Hallmark Channel's Countdown to Christmas!!! UP announces Christmas Movies & Specials for 2013! UP Is "America's Christmas Channel"
ATLANTA, Oct. 15, 2013 /PRNewswire/ -- As Thanksgiving arrives, holiday programming will transform UP (@UPtv) into "America's Christmas Channel," with over 40 days of uplifting holiday movies, Christmas specials, music and marathons with some of television's most beloved family-favorite series. The network's slate of family-friendly holiday programming launches Monday, November 18 and runs through Tuesday, December 31, 2013. "We have firmly established ourselves as America's Christmas Channel with 40+ days and 400+ hours of entertaining and uplifting Christmas programming," said Leslie Glenn Chesloff, UP's EVP, programming. "America's families love it, as evidenced by the 55% ratings growth that we saw last year and the double digit growth we anticipate this holiday season. This year, our Christmas programming shines brightly with eight UP Original and Premiere movies and two Christmas specials and more. We clearly are the network destination for holiday and Christmas programming." Highlights include exclusive world premieres and UP Original Movies, including Marry Me For Christmas, Guess Who's Coming to Christmas, Silver Bells, 3 Day Christmas, Angel in the House, Christmas For A Dollar, Thomas Kinkade's Christmas Miracle, and the UP Original Christmas Special "K-LOVE Music City Christmas Special." In addition, UP will bring back the popular, family-favorite "My Big Fat Waltons Thanksgiving" marathon followed by the exclusive network presentation of the classic family film that started it all – The Homecoming: A Christmas Story. Martin Taylor has totally lost touch with his family. He has no clue who his teenage daughter's friends are, why his son only communicates with an electronic sign outside his bedroom door, or why his youngest child watches so much TV. Convinced the family needs to reconnect, Martin surprises the wife and kids with a little experiment – he locks them in their own home with no power, no heat, no running water, and absolutely no contact with the world outside! The sudden holiday "stay-cation" isn't what the Taylors had in mind for Christmas, but they'll have to team up to prove they can survive Dad's wacky mission and their wackier relatives. But with a little planning and a whole lot of love, this just might turn into the best Taylor family Christmas yet! 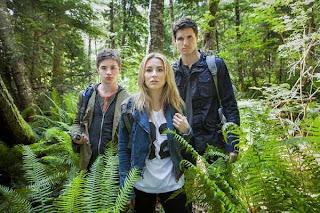 Stars: George Newbern, Megyn Price, Taylor Spreitler, Francesca Capaldi, Aidan Potter and Corbin Bernsen. Struggling to adopt a child and unable to conceive one of their own, the Morrison family is in need of a miracle. However, their luck changes when a precocious, funny seven-year-old boy unexpectedly shows up on their doorstep. A heart-warming family tale, Angel in the House is sure to bring out the child in all of us. Stars: Toni Collette, Ioan Gruffudd, Maurice Cole, Richard E. Grant, Hayley Mills and Anne Reid. Due to an unforeseen road closure, eight strangers are forced to take refuge in an abandoned church during a storm. During their time together, they learn from one another how to manage through various personal dilemmas, and that despite their differences; by working together they can make even the most unlikely miracles happen. Presented by Thomas Kinkade, the beloved "Painter of Light," this uplifting holiday story shares the real meaning of the season -- kindness, understanding and love. Stars: Allison Hossack, Aaron Pearl, David Kykl, Valin Shinyei, Lori Ann Triolo, Randal Edwards and Siobhan Williams. Classic movies and series episodes from "The Waltons" will entertain families on Thanksgiving Day and night: The Thanksgiving Story (1 p.m.), Day for Thanks on Waltons Mountain (3 p.m.), A Waltons Thanksgiving Reunion (5 p.m.), The Homecoming: A Christmas Story (7 and 9:10 p.m.) and "The Best Christmas" (1 a.m.). Bruce Dalt is an ambitious, gung-ho father and local TV sports anchor who approaches the holidays much like he approaches life - competitively. This Christmas, he wants his interior designing wife Piper to win the neighborhood's annual holiday house decorating contest. He wants his son Jason to be the winning basketball player on his high school team. 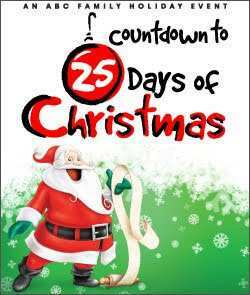 And of course, he wants everyone in the family -- including daughter Kasey, who is in her first year of law school – to win by securing the biggest Black Friday shopping deals before dawn. Bruce Dalt is all "for the win!" This philosophy, however, has put a strain on his family; especially Jason, who has more heart than competitive drive. When Bruce gets into a physical scuffle with a ref at Jason's basketball game, the holidays take a turn for the worse. In no time, the video goes viral. Bruce is then sued, suspended from the anchor desk, and sentenced to community service with The Salvation Army. There, he meets Major Melvin Lowell, who patiently guides Bruce while managing his competitive streak. When Bruce encounters the people in his life from behind the kettle, everything – especially his relationship with his son – begins to change. The Dalts are about to embark on the most meaningful holiday season ever -- all thanks to ringing that signature bell. Stars: Bruce Boxleitner, Bridgett Newton, Kenton Duty, Laura Spencer, Kevin Downes and Antonio Fargas. UP and contemporary national radio powerhouse KLOVE partner to create the very first K-LOVE Christmas music special, hosted by Candace Cameron Bure (UP's Finding Normal, "Full House"). The special will include interviews and performances of beloved Christmas standards and new original songs by top contemporary music artists, including TobyMac, Newsboys with for KING & COUNTRY, Mandisa, Colton Dixon, Kari Jobe, Matthew West, David Crowder and Tenth Avenue North. Taped before a live audience in Nashville, TN. The special will be simulcast nationally to K-LOVE radio listeners. This landmark documentary music special celebrates 25 years of "A Very Special Christmas," the holiday album series benefiting Special Olympics. The special is a blend of new and historical performances, music videos, interviews and inspirational Special Olympic profiles. Featured artists include Francesca Battistelli, Jon Bon Jovi, Sheryl Crow, Martina McBride, John Mellencamp, Tom Petty, Darius Rucker, Run-DMC, Jordin Sparks, Bruce Springsteen, Sting, Train, U2, Stevie Wonder and many more. Hosted by Grammy®, Emmy®, and Tony®-nominated entertainer Vanessa Williams. Jaded rock star Dax is found by New York paparazzi passed out in his car with a frozen holiday turkey in the passenger seat. In order to repair his tarnished image, Dax publicly agrees to grant a fan's "Dear Santa" Christmas wish. To his dismay, his manager Jason drops Dax off in Cedar Grove, a Midwest small town, where he's committed to spend a week and perform in a local holiday Christmas concert. At first, Dax is horrified to be stuck in the Reverend Harding family's home with strict rules and a curfew. But he soon becomes charmed by the Reverend's wife Lynne, teenage son Tim and very surprised contest winner and daughter Kelly, a sassy, unemployed book jacket writer. Dax begins to appreciate what the Hardings have as a family – love, caring and an uplifting holiday spirit. The movie features an original musical duet by Lachey and Porter, entitled "You." Stars: Drew Lachey, MacKenzie Porter, Matt Ward, Peter Lacroix, Ellie Harvie, Evan Bird and Olivia Cheng. Marcie Jewel is a successful ad executive who is happy with her life. But while all of her cousins are married and having babies, Marcie is the only one who has passed up marriage and motherhood for the sake of her career. 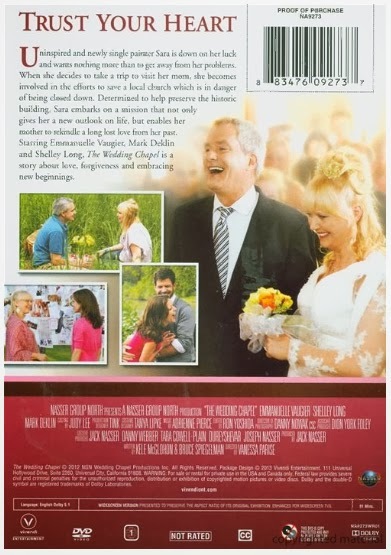 As the family prepares for the big Christmas Eve wedding of Marcieʼs favorite cousin, Dana (who also happens to be the last of the cousins besides Marcie to get married), Marcieʼs mom, Stephanie Chandler Jewel, is applying pressure to her daughter to settle down and have children. So she does the only thing she can do: find a fake fiance. Star: Malinda Williams. The Kamp family is struggling to get by, particularly since Mrs. Kamp's untimely death. The older children do their best to take care of the family, but the younger children -- straight-talking little Ruthie and Norman, a fan of fictional cowboy hero Hopalong Cassidy – struggle most with a bleak-looking future. With their father facing mounting debts resulting from Norman's battle with polio, the siblings expect a Christmas without presents. But when father scrapes together a dollar to use for gifts, things change. As each child comes up with a special gift to give another member of the family, they soon begin to see many of their dearest wishes come true. Perhaps a boy who struggles to walk can become a real cowboy after all. Based on the book by Gale Sears. Stars: Brian Krause, Nancy Stafford, Danielle Chuchran, Heather Beers, James Gaisford, Jacob Buster, Ruby Jones, Ethan Hunt. 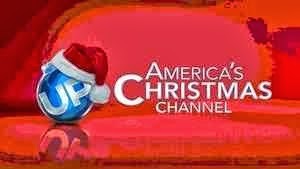 Other featured programming on America's Christmas Channel includes the popular UP Premiere Movies Christmas Angel and The Heart of Christmas, as well as holiday favorites Christmas With a Capital 'C', Christmas Snow and The Town Without Christmas. Starting on Monday, November 18 and running through Tuesday, December 31, all of UP's music blocks will feature all genres of Christmas music. On December 24 at 8:00 p.m. EST, UP will present its annual Yule Log featuring 24 toasty hours of gospel and Christian music with limited commercial interruption. UP (www.uptv.com) is America's favorite network for uplifting family entertainment. The network presents original and acquired movies, series, stage plays and music specials along with gMovies, the first faith-friendly streaming movie service. The UP brand is reflected in "Uplift Someone," the network's successful pro-social initiative. UP can be seen in more than 65 million homes on various cable systems around the country, as well as DISH Network on channel 188, DIRECTV on channel 338 and Verizon FIOS on channel 224. Follow UP on Facebook at https://www.facebook.com/UPtv, Twitter on @UPtv and Instagram at UP_TV. Hope you all enjoyed reading about these new movies coming to the UP Network. Thought you might want to know - Some of the movies they are showing are already available on DVD. New "Toy Story" Cartoon premieres Tonight! If you have been following my blog for awhile now, then you'll know I don't typically promote Halloween type programming. 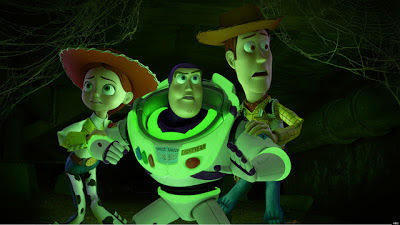 Please know, I have not previously viewed this cartoon, however my family, like many of yours have so enjoyed the "Toy Story" Movies and characters of Buzz, Woody, Jessie, etc... thus far, and hope that this little cartoon, will also be something for us to enjoy, too... and hopefully not too scary. Some of you, may wish to preview this before your young children watch, just in case. And personally, I feel that is always a good idea, if you have any reservations. See the Toy Story of Terror page for more details! There will be repeat airings of this on ABC family. See the CHRISTMAS TV SCHEDULE for air times. 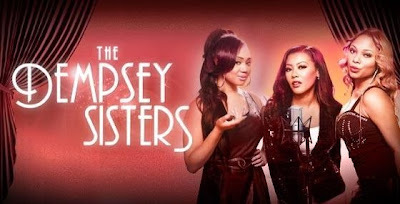 In The Dempsey Sisters, three sisters with a shared dream return to their musical roots. Deena, Sheena and Tina are three sisters who have always shared everything, including their love for music. Now that they’re all grown up and working regular 9-to-5s, they make a joint decision that getting back to their musical roots and putting their family band back together is what they truly want. When their younger brother Luke and his wife fall on hard times and show up at their doorstep unexpectedly, he convinces them to be their manager. The quarters are sometimes too close for comfort for the sisters who struggle with Casey, Luke’s wife who tends to be a bit of an airhead when it comes to life and business. Her funny moments, arguments and spats, and tough moments abound as the girls get back into their groove. Through their gift of song, the sisters and Luke find that a shared dream and love for family can get you to the other side of the good, the bad, and the ugly in life. ABC FAMILY has released their upcoming "25 Days of Christmas" schedule for 2013 and I have updated the Christmas TV Schedule with their Christmas Movies and Cartoons. Holidaze (previously titled: Home Again) on December 8th. See the Christmas TV Schedule for these Christmas Movies, Cartoons, and More! The INSP network will give us a Wonderful Selection of Christmas Movies this Year! with the Premiere of "The Christmas Lodge!" I hope these INSP movies will Inspire You! again or for the first time? stars in the series "Old Henry" on INSP. This time around... instead of individual commercial-like segments, it will be a 30 minute special. 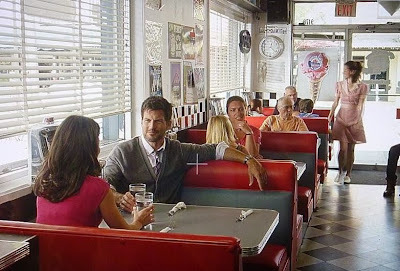 An INSP original, Old Henry was initially produced as a series of six short-form programs airing as interstitials. The 30-minute version incorporates the entire series along with never before seen footage and exclusive interviews. Rising star Rachel Hendrix plays Henry’s co-star, Jessica. Hendrix garnered national acclaim for her inaugural leading role in the 2011 award-wining film, October Baby. 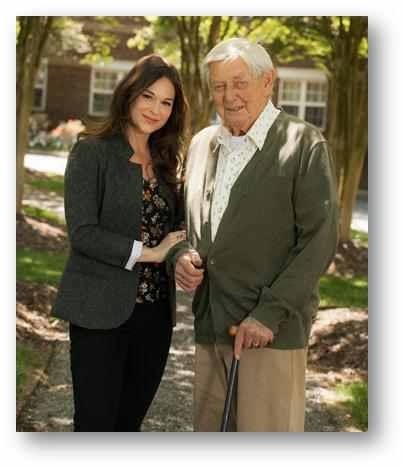 Henry (Ralph Waite, The Waltons) is a man in his 80s dealing with the challenges of aging in a society that has moved on without him. When he makes a new friend in Jessica (Rachel Hendrix, October Baby), a woman in her 20s who shows him a respect and honor absent from the world around him, Henry finds a new perspective on life, and in turn becomes an inspiration to Jessica. *To learn more, visit www.insp.com. 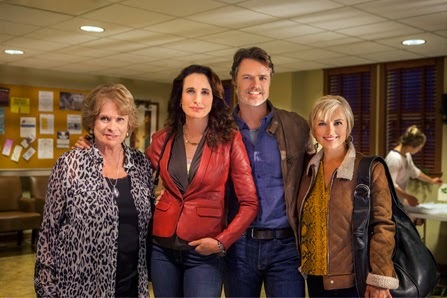 This Weekend on TV: "Cedar Cove" Finale Christmas Episode, "Signed, Sealed, Delivered" Premieres, and We're Going to "The Wedding Chapel" and we're going to get Married! Enjoy these movies and let us all know how you liked it (or didn't like it) in the comments below! See the Family TV Schedule for additional information on times airing. "What are the names of the Christmas Movies featured in your new Christmas Banner?" [CHRISTMAS MOVIES ON TV - 2013] page. 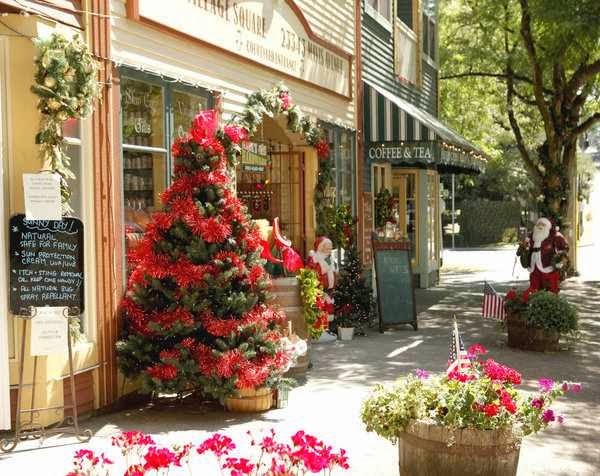 Visit "Cedar Cove" at Christmastime, go on a "Mystery Cruise", and take a walk through "Paradise" ... all this Weekend! Saturday Night at 8 PM. and Dylan Neal as Jack Griffith. 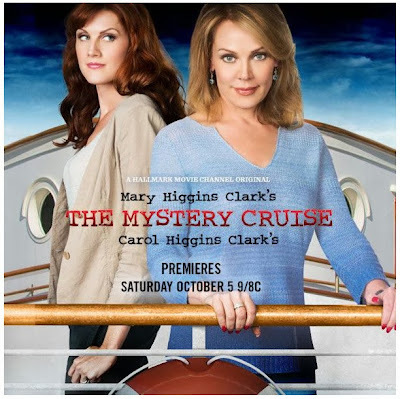 premiering Sunday, Oct. 6, 2013, 9pm ET, on MASTERPIECE. Please check your local PBS station for times airing! Series will run from October 6th through November 17th! *Please Note: These Movies and TV series are New. I have not previously viewed them. Please check ratings and use your own discretion before viewing with your family and young children. please stop by and let us know how you liked it! The story of a newly single and uninspired painter as she travels to see her mother, leading her to help restore a local church to save it from being closed, which helps her see life from a new perspective and inspire her mother to find love again.